Simply sweet, this Aaron Basha baby shoe is part of the Baby Shoe collection. 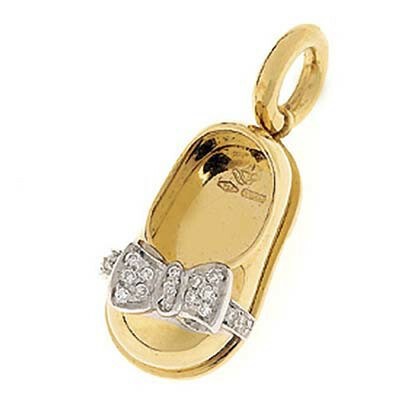 The solid 18kt yellow gold shoe dazzles with an 18kt white gold bow and strap that is embellished beautifully with scintillating white diamonds. The two-toned effect of this combination creates an eye-catching Aaron Basha charm.